I caught the Himalayas peaking through even though it's monsoon. First, you will note that we've changed the name, yet again. 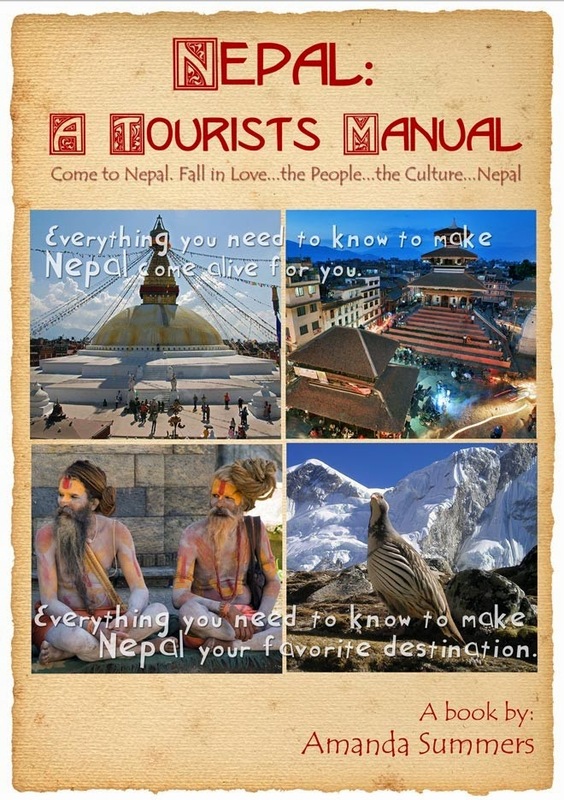 It went from Nepal: On a Budget, to Nepal: Unconventional Tourism and now Nepal: A Tourist's Manual. Please let me know if you think it's not an improvement. I couldn't find the proper word, but I think this might be it. There is still some political unrest in Nepal. This was a women's protest. It was nice because most of the police escorts for this protest were also women. When I wrote the book it was all as I or others found things in Nepal. There was nowhere to actually check for most of it. For example, I needed to add the phone number of the tourism board because I found they were closed when I went there a couple times in a row. I went to the website and tried to send a note to find out the new office hours. The link did not work. That's just the way it is here in Nepal. When you get here you will find so many things to be so different from what you would expect or even what you've been told or read. That is why I'm trying to keep my book in the electronic realm. It's just so much easier to update it without having to send something to the publisher to get a new version printed. When I finally found someone at the Tourist Bureau he couldn't seem to understand what I was talking about when I suggested the office had been closed multiple times I'd come by. This Tamang village is still in the KTM Valley, so don't worry if you need to have a short stay here. There is plenty do see in the valley nearby. So, on the list that I've been sending out as a sample of the book, I suggest bringing used phones and having them unlocked at home and hopefully they will work here. But that wasn't all that needed to be included in the tip. You should also only bring 'SIM card' compatible phones. We do not have them in the US, but people in Europe and Asia understand this concept. This is the only kind of phone that will work in Nepal and most of Asia. And even if you bring one here and it isn't unlocked you will have another problem. You need to pay up to 12,000 NRs. to unlock it, depending on your carrier. So, if you are coming to Nepal look to see if you have an extra 'SIM card compatible mobile phone' and get it unlocked from your carrier. It should be unlocked at no charge as a courtesy from your own mobile server. Then you are all set. 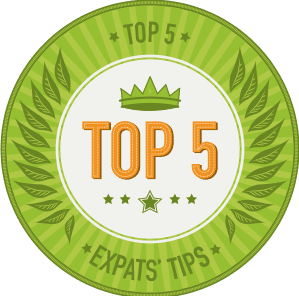 Just check out my blog post on 'Getting your vacation off to a good start' and you will save about $25 in your first couple hours in Nepal. Another change from the earlier editions: More and more ATM machines in Nepal are charging 400 NRs. per transaction. Check with your bank to see how to get the charges reduced or removed by getting an account with one of the international banks such as Chase Bank. Standard Chartered Bank is here in Kathmandu, so this is a bit easier for Brits and those living in major cities in the US. Some banks allow people to set up an account online so you may want to explore this option. But, don't worry about these charges too much. I tell how to deal with this issue in the book. You should not have this charge if you know which ATM machines to use. If you've read the book, by whatever name and if you've found something that is either confusing, didn't work out for you exactly the same way, or perhaps it is outdated already, please leave a comment below. If you've read the book and would like to comment on it, please leave a comment below or send me a picture of you to use on the website. Additional apology: It has not been easily accessible for a few months. It is ready for sale now with many updates. If you have an earlier version let me know when you are coming back to Nepal and I will give you a free, updated download link. Your book saved my tourist friend from Norway a lot of time. It was funny because they helped me to get around. I loved your blog because I learned a lot about these tourist destinations.Thank you for posting this. You have mentioned nice destination for travel ! Thanks to shared with us !